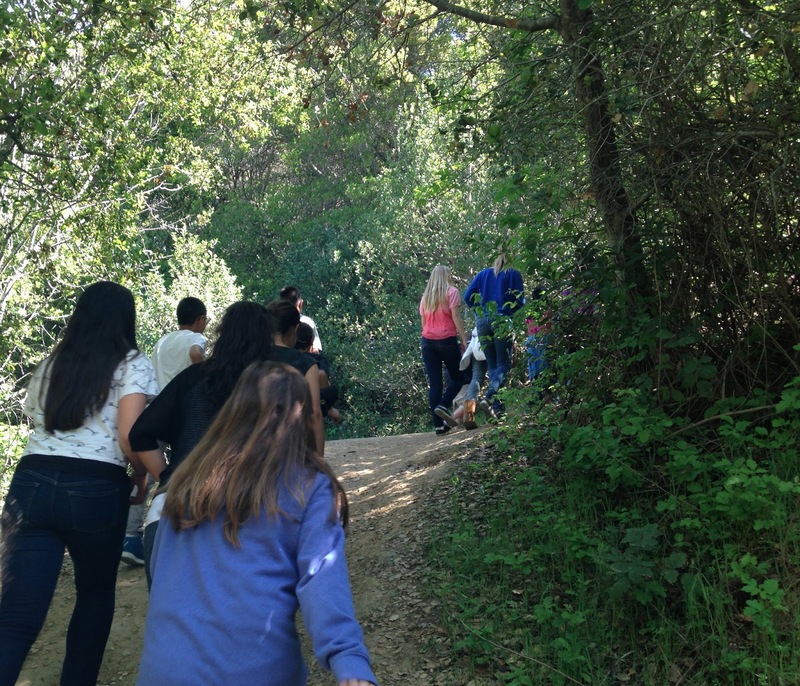 The past few weeks the students have had so much going on that we are helping them relieve stress with short hikes around our campus. I cannot take credit for this idea. This was suggested and begun by the other Liz on our team. I was fortunate enough to recognize what a great and much needed activity this was especially as the year finishes with many standardized test from the state as well as the district. Between all the test taking and the anticipation of summer vacation the students, not to mention the teachers, have been vibrating with undulating emotions and energy. 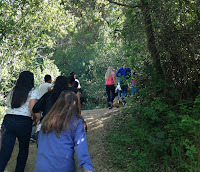 My art class (our exploratory class time) has enough flexibility that I can take the students on a 45 minute hike every couple of weeks. It’s been interesting to see how the students respond to this activity. The light, feeling students were upset to find garbage along the path the first time we did this. Now we make sure that we have bags for them to collect the garbage, which they do gladly as a way to help the environment. The ego-active students use the time to socialize and tease each other. Even the heavy students find their spirits lifting with fresh air, natural beauty, and exercise. It was interesting to see my intellectual students bringing their math notes and spiral notebook so they could study for a test. Yes, they were actually writing equations as they walked along. We are fortunate that we can get out in nature and refresh ourselves. I love this. So glad that you made it outside.